*Plus tax. Includes: RainX complete surface protectant, clear coat protectant, clear coat conditioner, showroom luster, tri-color polish, undercarriage rinse, wheel & tire cleaner, soft touch wash. Car wash coupon valid at Edmonds Kwick'n Kleen in Edmonds, WA. One coupon per customer. Coupons may not be combined with any other offer. With Valpak® coupon only. Coupon void if altered. Expires 05/06/2019. Free hot wax coupon valid at Edmonds Kwick 'n Kleen in Edmonds, WA. One coupon per customer. Coupons may not be combined with any other offer. With Valpak® coupon only. Coupon void if altered. Expires 05/06/2019. *Plus tax. Includes: showroom luster, single hot wax, polish wax, undercarriage rinse, wheel & tire cleaner, soft touch wash. Car wash coupon valid at Edmonds Kwick 'n Kleen in Edmonds, WA. One coupon per customer. Coupons may not be combined with any other offer. With Valpak® coupon only. Coupon void if altered. Expires 05/06/2019. Since 1971, Edmonds Kwick 'n Kleen has been proudly serving our friends and neighbors in Edmonds, WA with high quality comprehensive services at reasonable prices. Whether you need to fill up at our 76 gas station, grab a quick snack at our convenience store, or get your "baby" washed in our gentle brushless car wash so she shines like new, Kwick 'n Kleen is the place to come. 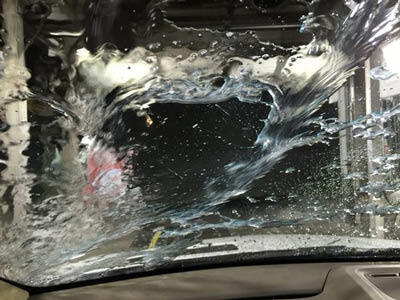 Our associates strive to customize your car wash and provide you with a customer experience to meet your unique needs. For the attention to detail you and your car deserve, stop in and visit our car wash and gas station on Edmonds Way today! And don't forget to print out our Valpak car wash coupons to save you even more money. DIAMOND SHIELD Protection Package, THE ULTIMATE Protection Package, SUPER WORKS, THE WORKS, CLEAR COAT PROTECTANT, THE SPECIAL. Brushless Wash, Wheel Brite, Double White Wall, Undercarriage Wash, Tri-Color Polymers, Foaming Polish Wax, Single & Dual Hot Wax, Showroom Luster Wax, Clear Coat Conditioner, Clear Coat Protectant, Diamond Velocity Protectant, Automated Rain-X Complete Package. 76 Gas Station, High-Performance Gasolines & Diesel, Car Wash Discounts With Gas Fill-ups, Senior Citizen Discounts, On-Site ATM, Proud Member of the Puget Sound Car Wash Association - We care about the environment. Sandwiches, Pastries, Coffee, Drinks, Snack Foods, Cookies, Mints, Licorice, and More. We are located just up the hill from Downtown Edmonds, right on Edmonds Way. We are proud to serve our friends and neighbors from the surrounding areas of Shoreline, Lake Ballinger, Mountlake Terrace and Lynnwood.